Vancouver: A local's perspective - Gateway to Canada | Canada Immigration Consultancy! I stumbled upon this blog, Vancouver: A local's perspective, while blog hopping. 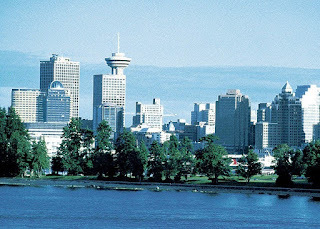 If you are planning to visit or live and work in Vancouver, you will get useful information there. After all, there is no better way to get information about Vancouver than from a local. Robyn Hanson, the blog author, was born and raised in Vancouver. She worked in the local tourism industry and studied Geography and Art History at University of British Columbia.